More than 100 million people will watch Super Bowl XLIX on Feb. 1, the 49th edition of the big game. The 49ers didn’t make the cut this year, but that doesn’t mean there won’t be big Super Bowl parties at bars and venues throughout San Francisco. Even for casual fans, the biggest national sports holiday is a great excuse for a boozy Sunday among good friends, good drinks and good food. Plan your day with our guide to Super Bowl parties in San Francisco. The Super Bowl pre-party is at Mayes Oyster House on Polk Street with 2-for-1 drafts from noon to 3pm. There will be a Kobe Beef 2x Burger specials (go big with onion rings on top) and, of course, plenty of oysters and other options to get the game-day mojo working. Stick around and watch the action in a spacious booth or sit near the bar. There will be a big crowd for kick off so be sure to arrive early or make a reservation. 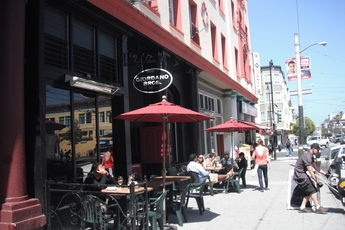 Giordano's is a cool spot to watch the game with friends over some drinks in The Mission. 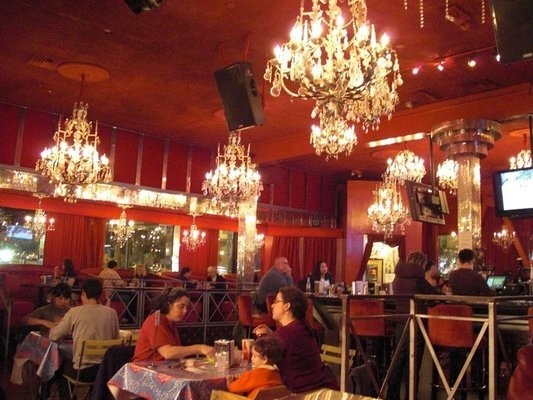 The restaurant offers Pittsburgh-style sandwiches (with french fries and coleslaw in between slices of white bread), chicken wings, beer, cocktails, and televisions. It's recommended to arrive early and with your entire party as all seats are first come, first served. 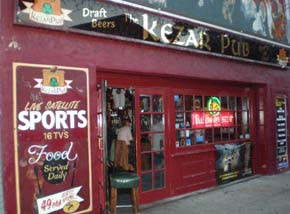 Serious sports heritage at this old bar located across the street from the San Francisco 49ers' old stomping grounds, Kezar Stadium. The bar has tons of flat-screen TVs, long picnic benches, pool, and darts. 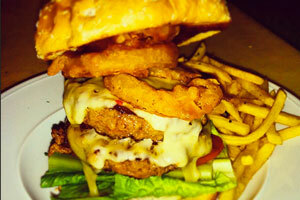 Their full menu offers a large beer selection and treats like spicy jalapeno corn dogs and calamari. This loud Irish pub typically caters to San Diego Chargers and Seattle Seahawks fans during the regular season, but also attracts plenty of international sports enthusiasts. Order a bucket of Tecate beer or try its Bloody Mary. 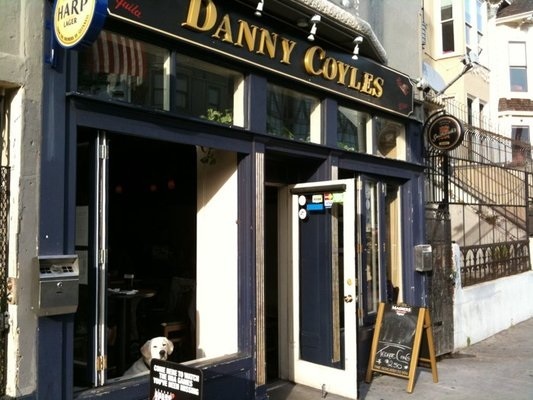 Danny Coyle's doesn't serve food other than chips, but patrons can bring in sausages, pizza and wings from nearby eateries. 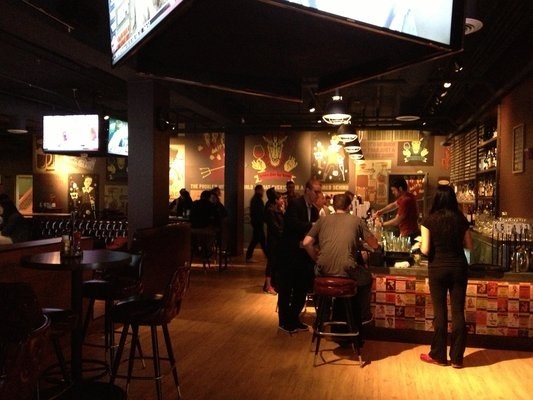 This sprawling, two-level bar in Union Square features numerous TVs, plus video and table games like skeeball, foosball, shuffleboard and pool. This casual albeit noisy, environment offers more than 100 beers and tasty snack options, such as fried pickles and giant beer battered shrimp, along with more traditional bar fare such as chicken wings, quesadillas and nachos. 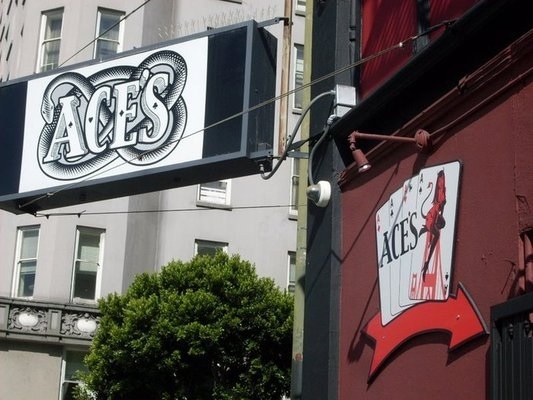 This hole-in-the-wall Nob Hill bar normally targets the New York crowd and has limited seats, but its sports atmosphere (there are a few chairs from the old Yankee Stadium), reasonable drink prices and open air windows make Ace's a viable Super Bowl destination. Tall beer cans come with a cozie and, no guarantees, don't be surprised to find free BBQ. This Russian Hill taco destination offers booth seating, multiple TVs and and a full bar with bottomless mimosas in a club setting (it serves at Rogue Nightclub after hours). It's known for its "Nick's style" fish tacos and quesadillas and burritos; other dishes are also available.